Thinkbiz Academy 2018, a MUST see event! Also includes : renowned business speakers, specialized workshops, mock-up interviews, experiential happenings and business games! The 5th Patras Innovation Quest (Patras IQ) will be held from 27th, to 29th April 2018 in order to enhance capacites in the research community / productive sector. The Patras IQ has been honored with the European Enterprise Promotion Awards 2017 and is at the interconnection of know-how and innovation.This year's event includes a variety of events, workshops and exhibition booths, while emphasis will be placed on the potential of 5G. Apply to participate before April 16th 2018. Make Sense is a major social innovation competition in France. This year, on April 14th a festival is organized in Paris to celebrate this competition and create a very fun event on innovation. If you go to Paris, rendez vous at the Belleviloise concert hall to join 2000 young people who want to make change (and sense!). Debates will tackle good food, refugee welcoming, climate change, and digital change. This year on April, 17th 2018 the Journée de la Femme Digitale (Digital Woman Day) will celebrate for the 6th year in a row inspirationnals women, who incarn startup creation and collaboration between men and women. You want to know how to break stereotypes and create a new position for women in our society? Lets meet at the Maison de la Radio in Paris! With the participation of : Coca Cola, Facebook, Google, Kusmi Tea, Lancôme, La Redoute, L'Oréal, Microsoft, Nespresso. 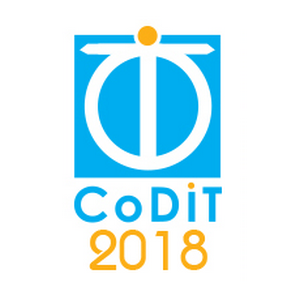 The CoDIT’18 is the Conference on Control, Decision and Information Technologies. Its fifth edition will be staged in Thessaloniki April 10th to 13th. The conference aims at tackling new challenges, share solutions and discuss future research directions. The event is hosted at the Artistotle University. Are you a new entrepreneur in the food industry?Do you want to make your own food-related business? NV business development invites you TONIGHT (March 28th) to a meeting at Epireia Coffee on Ktisiou Street (Athens).The aim is to discuss food business with new entrepreneurs and to share experiences and advices. Are you a startupper who wish to connect to the Athenian network and get expertise from other entrepreneurs? Then you have to participate to the Open Coffee, it is the reference meeting point for startups in Greece. This month the event is to take place at Benaki Museum on March 30th 2018. The French Food Industry Supplier is organizing the 2018 Food Innovation Trophies in Rennes (in the heart of Bretagne, the first food supplying region in Europe). If you wish to discover the new ingredients, process and equipment ! A look on SEW Crete 2018! Startup Week Crete took place from March 2nd to March 10th with the support of Mazinnov Network and was big success. The event took place in 4 locations with the focus "Developping the Startup Ecosystem in Crete"and welcomed more than 1000 participants. The speakers expressed more than 100 new entrepreneurial ideas. Reflecting on the event Thanos Paraschos, co-founder of Youth Entrepreneurship Club said that "Crete can be the Silicon Valley of the Mediterranean".